If you consider yourself a person who enjoys eating desserts, but also have a considerable fear of living too long, Walmart now has the treat for you. Deep Fried Twinkies. Hostess has taken their famous dessert with enough preservatives in it to survive a nuclear apocalypse, while being passed down to your grandchildren and still be considered “fresh” and “edible”. And with this marvel of the snack world, delicately holding together all that is and isn’t “food”, they decided to fry it, and then sell it to the general public in the frozen food section of Walmart. If you’ve been wondering if you’ve given up in life, I can answer your question with a question. 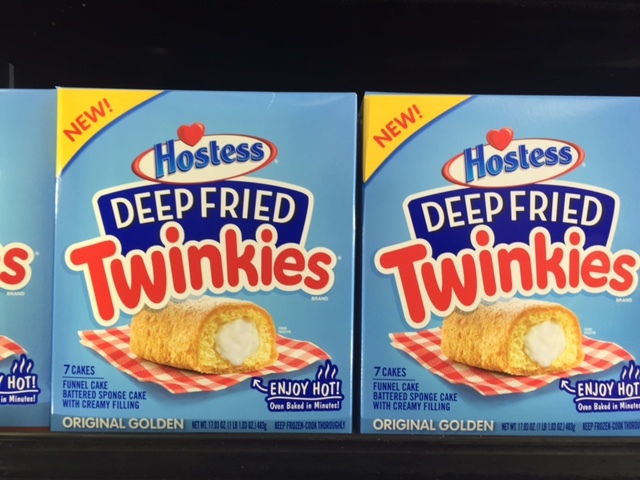 Have you bought Deep Fried Twinkies from Walmart yet? Walmart knows how many people are out there, tired of losing weight. 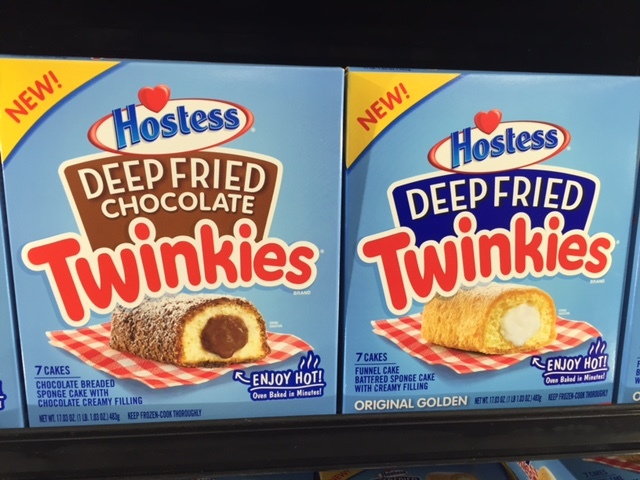 So, that’s why they’ve partnered with Hostess to bring this new dessert to a kitchen near you. Thank you Walmart! We are now one step better prepared for a zombie apocalypse. When it happens, after first securing my family and finding a gun, I will then make my way to the frozen food section of Walmart to find Deep Friend Twinkies. In a zombie-infested world, they may be the one food that will stay fresh- no matter what. We will be prepared!